The Romans introduced walnut trees into this country and they have been cultivated here ever since, but you would have to go a long way these days to find anyone farming walnuts. 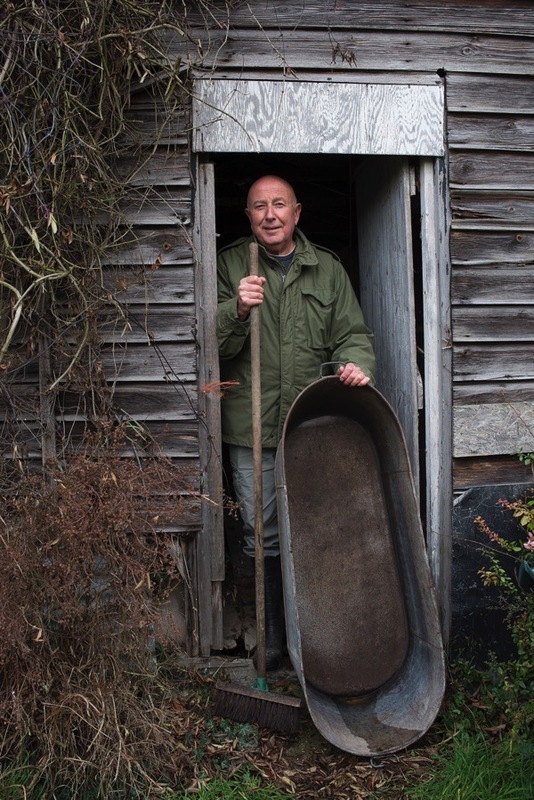 Contributing Photographer Sarah Ainslie & I travelled to the tiny village of West Row in East Anglia – where walnuts have been grown as long as anyone can remember – to meet Dennis & Christine Reeve, the last walnut farmers in their neck of the woods. 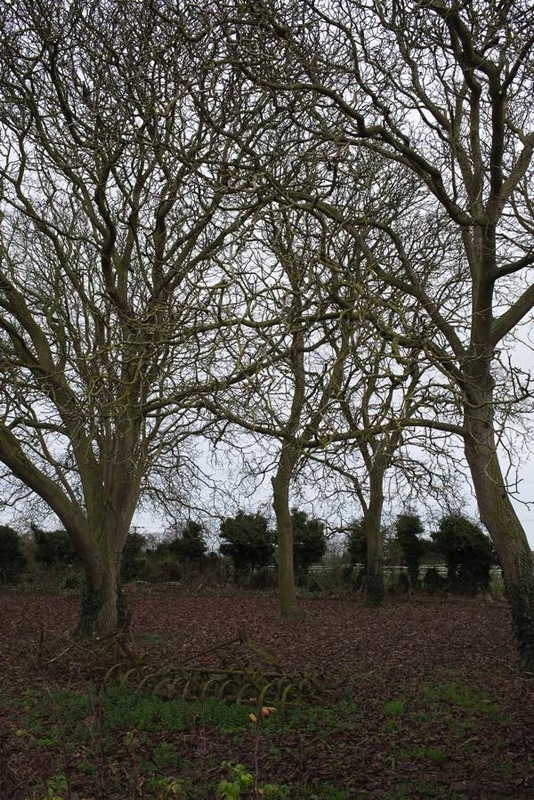 Dennis’ grandfather Frank planted the trees a century ago which were passed into the care of his father Cecil, who supplemented the grove of around thirty, that today are managed by Dennis and his wife Christine – who originates from the next village and married into the walnut dynasty. 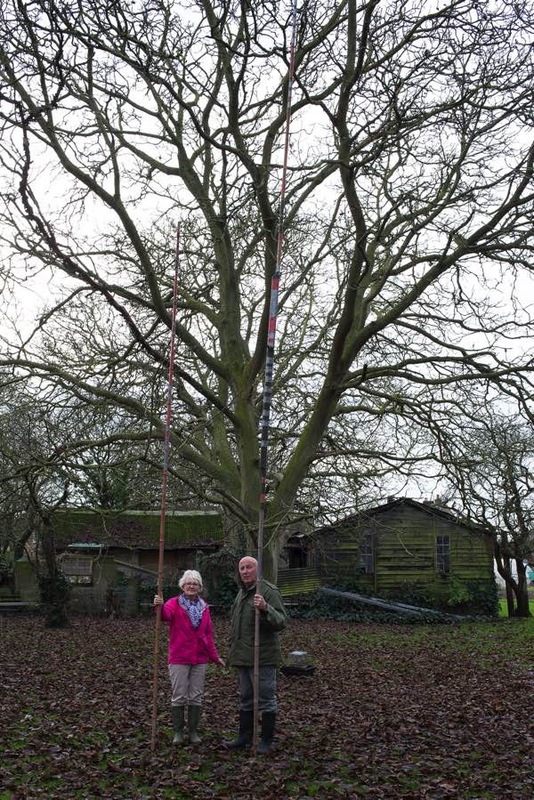 Dennis has only planted one walnut tree himself, to commemorate the hundredth birthday of his mother Maggie Reeve who subsequently lived to one hundred and five, offering a shining example of the benefits to longevity which may be obtained by eating copious amounts of walnuts. 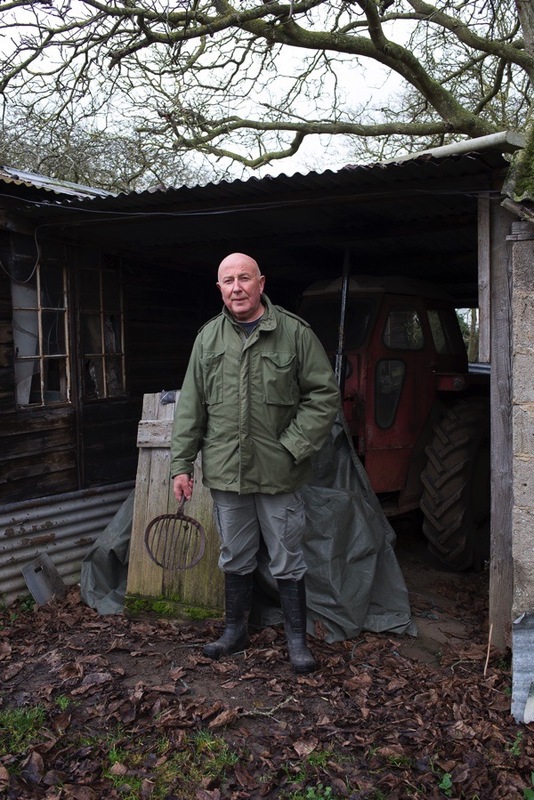 I was curious to understand the job of a walnut farmer beyond planting the trees and Dennis was candid in his admission that it was a two-months-a-year occupation. “You just wait until they fall off the trees and then go out and pick ‘em up,” he confessed to me with a chuckle of alacrity that concealed three generations of experience in cultivating walnuts. Perhaps no-one alive possesses greater eloquence upon the subject of walnuts than Dennis Reeve? He loves walnuts – as a delicacy, as a source of income and as a phenomenon – and he can tell you which of his thirty trees a walnut came from by its taste alone. He is in thrall to the mystery of this enigmatic species that originates far from these shores. Even after all these years, Dennis cannot explain why some trees give double walnuts when others give none, or why particular trees night be loaded one season and not the next. “There’s one tree that’s smaller than the rest yet always produces a lot of nuts while there’s nothing on the trees around it,” he confessed, his brow furrowed with incomprehension. Yet these insoluble enigmas make the walnut compelling to Dennis. 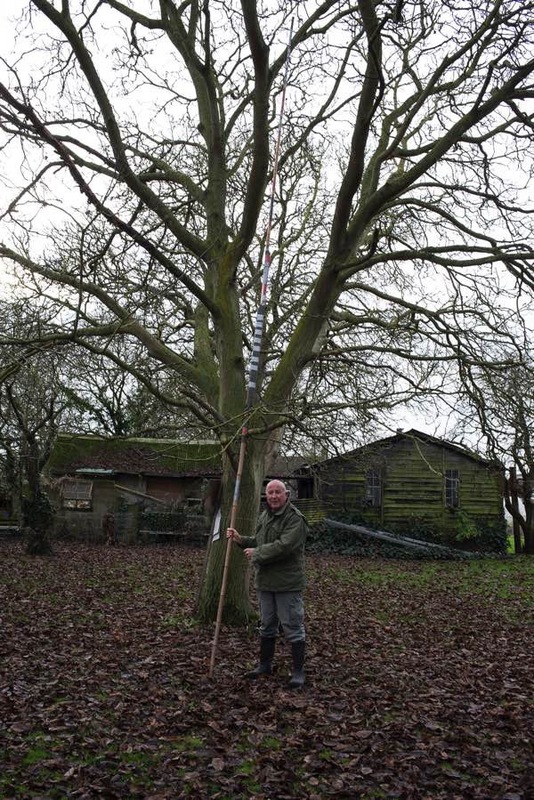 The possibility of ‘a sharp frost at the wrong time of the year’ is the enemy of the walnut but Dennis has an answer to this. “They say ‘keep your grass long in the orchard and the frost won’t affect them,’” he admitted to me, raising a sly finger to his nose in confidence. 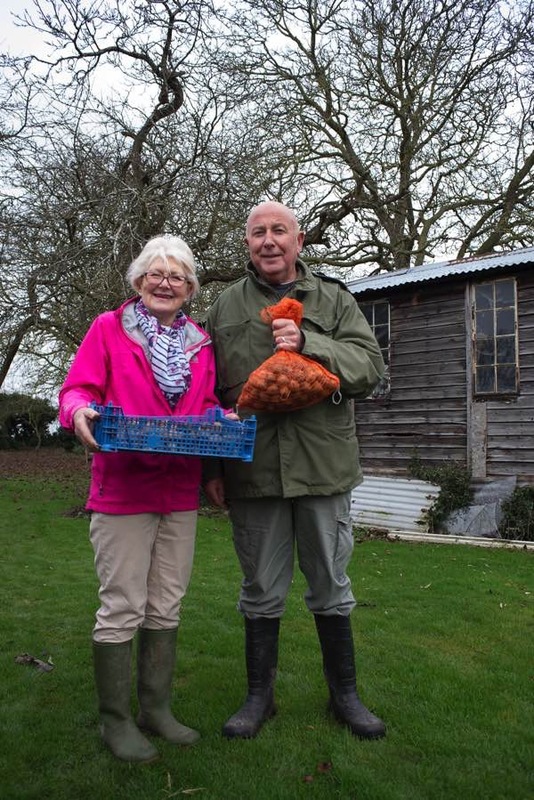 You would be mistaken if you assumed the life of a walnut farmer was one of rural obscurity, celebrity has intruded into Dennis & Christine’s existence with requests to supply their produce to the great and the good. “One year in the seventies, my father had a call in the summer from a salesman in London saying they needed about eight pounds of walnuts urgently,” Dennis revealed to me, arching his brows to illustrate the seriousness of the request as a matter of national importance. Christine recounted a comparable story about how their walnuts went to Westminster. “There was a dinner in the Houses of Parliament to celebrate British produce and our walnuts were served,” she explained to me with a thin smile, “and they sent us the printed menu which listed the provenance of all the ingredients, including ‘walnuts from Norfolk,’ which was a bit of a let down – because we are in Suffolk here.” Yet I did not feel Christine was unduly troubled by this careless error. 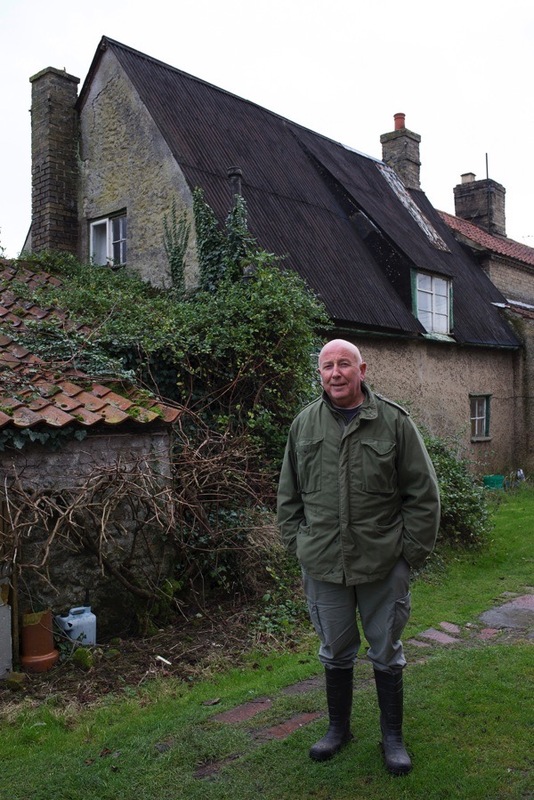 Both stories served to confirm the delight that she and Dennis share – of living at the centre of their own world secluded from the urban madness, in a house they built on land bought by Dennis’ grandfather and surrounded by their beloved walnut trees. Here’s to hardworking people everywhere and a very merry Christmas. Loved reading this. What a charming life it sounds. I do love a candied walnut in salad. Wishing you and all readers of Spitalfields Life a Merry Christmas! Wishing you a Happy Christmas and to all readers of your blog. I read with great interest – waiting to learn what the annual harvest would have been. Shame you didn’t include such a figure. I have no concept as to what amount of walnuts his 30 or so trees may produce. So lovely to read this, I would love to visit their lovely walnut orchard one day. Between 800 pounds and a ton each year.. I have a tree here on the Isle of Wight that is growing well,trouble is that the red squirrels race to get the nuts first. My son lives in Tain, Scotland and is in the process of planting out the walled garden. Does anyone know if walnut trees grow and fruit north of Inverness? I will never take walnuts for granted again!! Happy Christmas. Reading this lovely post made me happy and content…shelled several walnuts (even though I bought them from a local supermarket) and tucked in, just like a squirrel. Merry Christmas to you and all your cohorts and readers! What fun to find this post! We grow walnuts in northern California. I need a scoop like Denis’s. Squirrels and the Law. … As such, the grey squirrel is regarded as a pest species and is afforded no protection under the WCA. Under Schedule 9 of the WCA, it is illegal to release a grey squirrel into the wild, or allow one to escape. This means if you trap one, you are obliged to humanely dispatch it. Lets hope that Mr Reeves changes his tactics. Mr Osborne is right apart from adding an ‘s’ to the name of Mr Reeve. What he did not say was that casseroled squirrel is well worth the effort of making although the skinning of a squirrel is hard work. An excellent article about Dennis and Christine Reeve. My 37 year old tree is usually productive even though it was half blown down in the 1987 storm.